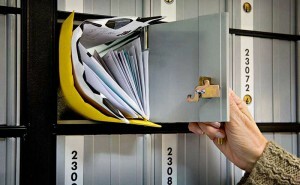 Direct mail personalization helps your piece stand out in mailboxes. Personalization shifts the focus of a direct mail campaign from the company to the customer or client. It seeks to create a connection with the customer or client, which makes them feel valued and appreciated. In turn, prospects’ response rates increase, which drive leads and, ultimately, sales. If you run a business that relies on direct mail campaigns, here’s how you can use personalization to improve your company’s direct mail response rate. Although it’s being incorporated into direct mail marketing in new and innovative ways, personalization is a well-known marketing strategy. Businesses have been practicing it for years. Greeting shoppers by name when they enter a neighborhood store and knowing regulars’ orders at a restaurant are two classic examples of ways businesses have been using personalization to build a connection with their customers. These same techniques can now be used in direct mail. Even within direct mail marketing, personalization isn’t entirely new. It’s being used like it never has been before, but the concept behind it is simple. Personalization is taking segmentation– another thing marketers have been doing for a long time–to the next level. It’s not just targeting middle-aged mothers, but marketing to Jane, Sue and Jennifer individually. To personalize a piece of direct mail, you just need to incorporate what you know about a customer, client or prospect into the mailing. If you’re creating a campaign from a house list, you might have a lot of data to draw from. For instance, Deliver Media pizza clients often utilize a “New, Late, Lapsed” strategy. This program allows them to market to new clients, clients who have had an order delivered late, or clients who have not placed an order recently, with different, personalized marketing messages. Even if you only have a basic prospect list, though, you likely still have enough details. At the very least, you know the prospects’ geographic region. Sometimes this is all that is needed to create a personalized mailing. You likely also know their name, and you might even have their age or purchase history. All of this information can help you craft a detailed, targeted message for each individual on your list. Personalization works for three reasons. It makes customers, clients and prospects feel valued, speaks to needs or dreams they have and kindles their imagination. First, the recipients of personalized direct mailings feel valued because the company knows who they are. Something as simple as substituting a prospect’s name for “valued customer” in the salutation of a letter can have a significant impact. Although it can be done almost instantly by importing a list of names from a database, it makes the mailing seem more personal–and appearances are what really matters in advertising. Second, good personalization does more than repeat a prospect’s data. It uses whatever information is available to anticipate the person’s unique needs and desires and provide an individual solution. For instance, letters to married couples shouldn’t just address each spouse. They should also play on both concerns and resources that married couples have. An auto dealership sending mailings out to such a list might want to play up the importance of safety and note a few safety features that many dual-income families can afford. Finally, direct mailing personalization helps people imagine their life as it could be by incorporating graphics. While addressing and wording letters is important, a picture is worth a thousand words. A travel agency, for example, could customize postcards for clients with images of their dream destinations. Sending each client a picture of the destination they’re specifically interested in would create a powerful message that speaks directly to each recipient’s desires. By carefully analyzing the information available on your database and incorporating learnings into your direct mail marketing strategy, you could have many different pieces that are individually crafted for each of your targeted customers, clients, or prospects. If you’ve been using direct mail but haven’t previously personalized each piece, see just what personalization could do for your company’s direct mail campaigns. Even a little personalization will likely have a significant impact on the response rate you see–and, in turn, your company’s sales.